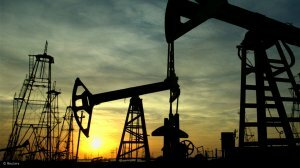 Oil and gas investors prefer the competitive taxes and regulatory regimes of the energy-producing US states over Canadian provinces, which, for the first time in five years, have not featured at all in the top ten most-attractive jurisdictions for upstream oil and gas investment. This is according to the Canada’s Fraser Institute’s latest Global Petroleum Survey, which ranked nine US states, including Texas, Oklahoma, Kansas, Wyoming, North Dakota, Alabama, Montana, US offshore – Gulf of Mexico and Louisiana, among the world’s most attractive for investors. The UK’s North Sea round this out to ten. However, none of the Canadian jurisdictions ranked in the global top ten this year, which Fraser Institute resident scholar and research chair in energy and natural resource studies, Kenneth Green, puts down to “onerous regulations, higher taxes and a lack of pipeline capacity”. “Investors are looking elsewhere to invest,” he says in a statement. This year, British Columbia was the lowest-ranked Canadian province at 58 out of 80 jurisdictions on the policy perception index, which measures the extent policy deters oil and gas investment. The organisation states that 80% of respondents cited the high cost of regulatory compliance in the province and 81% cited political instability as deterrents to investment. Alberta ranked 43rd this year – a significant drop from its 2014 ranking of 14th worldwide in 2014. Fraser warns that the province continued to decline in investment attractiveness, with 60% of respondents citing high taxes and more than 70% citing Alberta’s high cost of regulatory compliance as deterrents to investment. Manitoba scored 16 out of 80 global destinations and is ranked as Canada’s most attractive province for oil and gas investment, followed by Saskatchewan at 18th globally, and Newfoundland and Labrador at 26th globally. The ten least attractive jurisdictions for investment, starting with the worst, are Venezuela, Yemen, Tasmania, Victoria, Libya, Iraq, Ecuador, New South Wales, Bolivia and Indonesia. In terms of region, the US remains the most attractive for investment in upstream oil and gas, followed by Europe, Australia and Canada.